No matter how much time and energy you put into retirement planning and how prepared you think you may be, there are a few threats, which if ignored, could seriously tarnish your so-called golden years. Here’s a look at what you need to watch out for. Do you find yourself having to assist your adult children financially? You’re not alone. And it’s not surprising, given ongoing increases in the cost of living. Take property for example. According to businesstech.co.za, “The median price of a freestanding house applied for and approved by Standard Bank was R1,000,000 in November, up from R950,000 in October 2016.” These kinds of figures mean that often the only way people can own a home is with financial assistance from their parents. The same is true of school fees. Perhaps you’re already contributing towards your grandchildren’s education? Once again, this is not unusual when you consider that “Parents of pupils attending some of the country’s top former model C and private schools face fee hikes of more than R3 500 and R10 000 respectively next year.” (mg.co.za; November 2016) While most parents are only too willing to help their children where they can, the reality is that these costs can take a serious toll on retirement savings. Are you part of the so-called Sandwich Generation, wedged between financial commitments not only to your adult children, but to your elderly parents as well? With people living longer these days, thanks to advances in medical technology, the savings they’ve put away often come up seriously short, with the result that their children are left to provide for them financially. 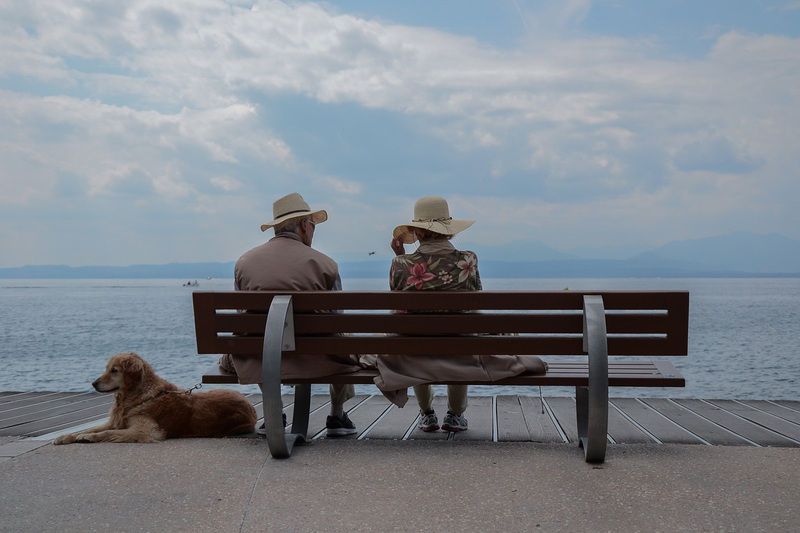 Supporting elderly parents in their retirement can have a significant impact on your current financial situation as well as your ability to save for your own retirement. Whether it’s a sick pet, a visit to the emergency room or car repairs, unexpected expenses are something we have to deal with whether we’re 23 or 93. And one too many can make a serious dent in your retirement savings. Did you know that “Only six percent of South Africans save up enough for retirement according to World Bank,” while “33 percent of retirees still have debt to repay, once they've stopped working.” That’s according to enca.com and they’re pretty alarming statistics – especially if you’re not part of the six percent on track with their retirement savings. With that in mind, there’s no time like the present to start rethinking your plans for the future. Being diagnosed with a serious illness early on or later in life can send your finances for a spin. And while a medical scheme will cover some of the expenses you’ll find yourself facing, it’s unlikely to cover them all. The cash lump sum paid out by serious illness cover can be used to pay for professional homecare, travel expenses if you need to see a specialist, new generation medications or treatments not covered by medical aid. It can also make up the shortfall in the event that you are unable to return to work full-time as a result of your illness, meaning that you won’t need to rely on your retirement money to get by. What if you were to become permanently disabled? Even worse, what if you were to become permanently disabled and didn’t have disability cover in place? Without an income, there’s a real possibility you’d be forced to draw on your retirement savings to cover your expenses, leaving very little, if not nothing, for your future. That’s where disability cover can play an important role in keeping you and your family financially protected. If you’d like to know more about serious illness and disability cover from Standard Bank’s direct life insurance services, get a quote or request that a customer service agent call you back.